-Friday, October 19, information table in the central market of supplies to redound in the importance of prevention. -Saturday, October 27, in Santa Maria at 6:00 p.m., conference and round table on “The breast in the health of women. 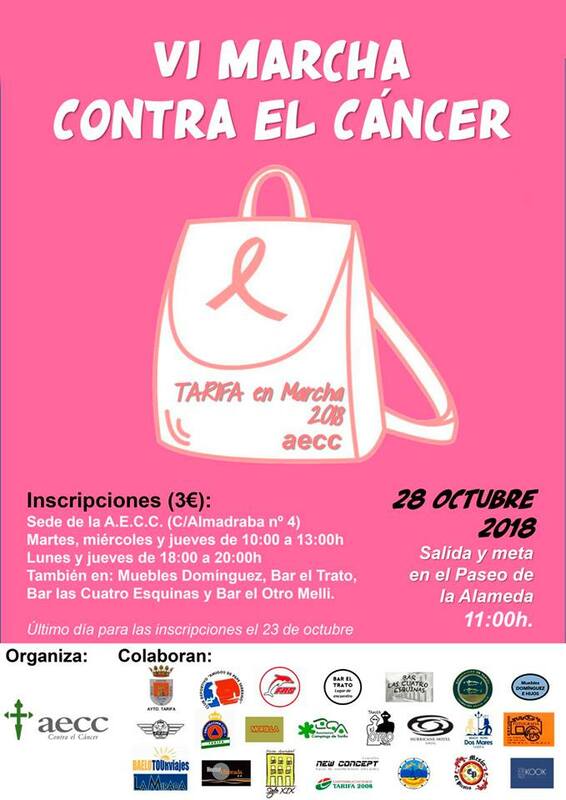 -Domingo, October 28, at the Alameda, starting at 11:00 am, March Against Cancer. To insure a shirt in the non-competitive march, prior registration is recommended. The inscriptions can be formulated in the own headquarters of the AECC (Almadraba street, 4) on Tuesdays, Wednesdays and Thursdays from 10 a.m. to 1 pm; or on Mondays and Thursdays from 6:00 a.m. to 8:00 p.m.
Also in the establishments “El Otro Melli2, Bar” Las 4 Esquinas “, Bar” El Trato “or” Muebles Domínguez “.